Did u know that Jose Carioca is brazillian? Who is your favori Caballero? who is your fav caballero? 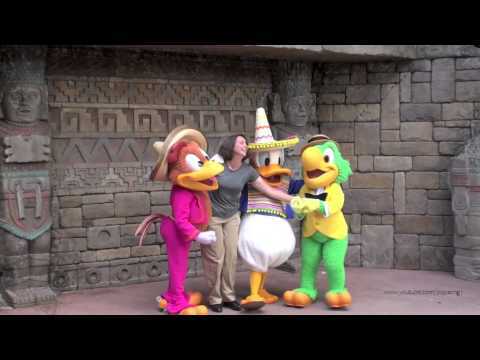 Gran Fiesta Tour starring the Three Caballeros is the updated version of a water ride, El Rio Del Tiempo (The River of Time) situated in the Mexico pavilion since its opening. It is much the same ride (and I will take a look at that in plus detail in another post) but with added colour of the Three Caballeros, Donald, Jose and Panchito. This guide begins with the version of the ride that I rode with my wife on our visit in 2007. 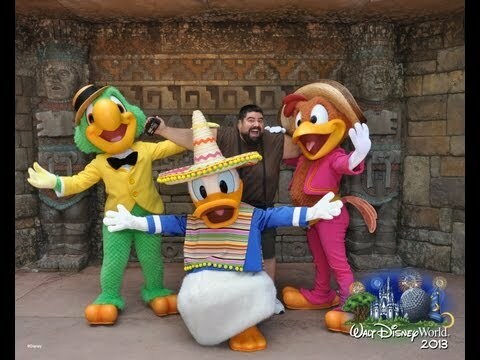 A Disney Tale: rejoindre Donald canard as he opens presents from his Friends in South and Central America; reacquaints himself with Jose Carioca and meets Panchito Pistoles. As part of his experience, we also meet Pablo, the cold-blooded penguin; a Uruguayan boy and his winged-donkey, Burrito; Aurora Miranda and the Aracuan Bird. 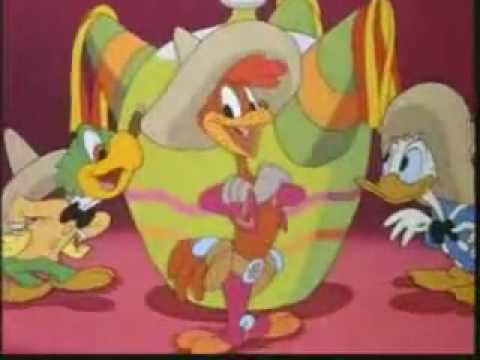 from 1994 VHS of "The Three Caballeros"